If Porz can play at the same level like he played before injury then it's amazing trade for Dallas. Dallas fleeced them. r/Knicks in shambles. If the Knicks don't get KD, Kawhi, Kyrie or Jimmy they are screwed. How f-cked up can the Knicks actually get. 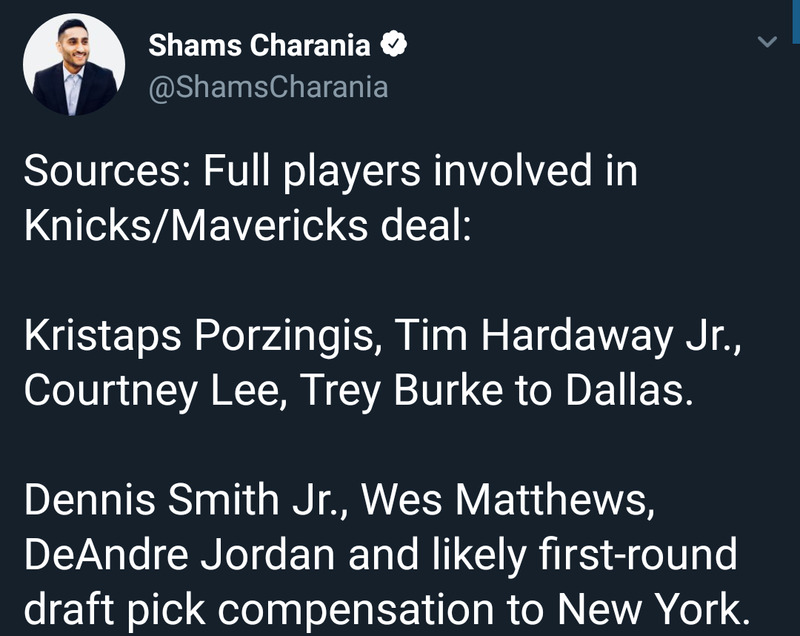 The only thing going for Knicks fans is that KP plans to accept Dallas' Qualifying Offer instead of a multi-year extension. What happens to Ntilikina now? Why didn't the Knicks draft DSJ if they wanted him so badly? Im a mavs bandwagon now. The knicks are the worse nba organization in history. Phil Jackson wasn't even arsed to bother while he was there, and of course nepotism by Dolan.